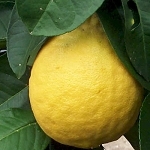 Lemon fruit can be harvested when green and used well before the fruit turns yellow. 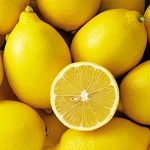 Lemons are typically treated with ethylene gas by commercial growers to help them develop the yellow color while growing. In the trees, naturally derived ethylene occurs in late October. 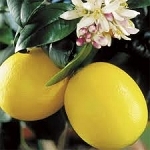 Lemon trees are more frost sensitive than most other citrus.